West Des Moines, IA – Jason Troyer, PhD CT, the founder of Mt. Hope Grief Services in Maryville, TN, has joined the all-star faculty scheduled to present at a fall Pre-need Summit hosted by Homesteaders Life Company and Kates-Boylston Publications. Dr. Troyer will offer a brief overview of Finding Resilience, a program designed specifically to help funeral and allied professionals prevent burnout and reduce career fatigue. During his presentation, Dr. Troyer will provide a comprehensive how-to guidebook, a writing journal with inspirational prompts and access to a variety of free online resources, including regular blog posts, video messages and weekly motivational emails. Implement simple, step-by-step strategies to begin getting referrals immediately. Develop a consistent, quality method to get feedback from clients. Leverage reviews and ratings to build brand loyalty. 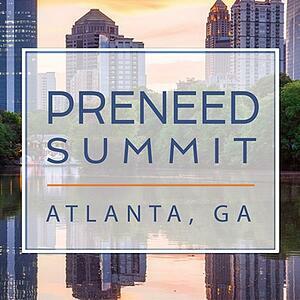 The Academy of Professional Funeral Service Practice has approved the Pre-need Summit for 5.5 contact hours of continuing education, and approvals will be sought in various states that do not automatically accept Academy approval. The event costs $495 per person to attend – but registrants who sign up by August 31 can save $100 per person. Additional details, including a comprehensive agenda and list of speakers, are available at katesboylston.com/preneedsummit. Dr. Jason Troyer, PhD CT, earned his doctorate in Counseling Psychology at the University of Kansas. He is an author and founder of Mt. Hope Grief Services which provides aftercare products, training seminars and consulting services. He is a member of the Association for Death Education and Counseling and is certified in Thanatology: Death, Dying and Bereavement.